What is Cloudyn-Azure cost Management? Azure Cost Management by Cloudyn allows you to track cloud usage and expenditures for your Azure resources and other cloud providers including AWS and Google. Easy-to-understand & Customized dashboard reports. Which will help with cost allocation and showbacks/chargebacks . Cost Management helps optimize your cloud spending by identifying underutilized resources that you can then manage and adjust. 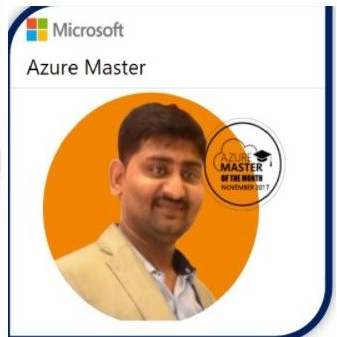 User of Cloudyn-Azure cost Management. Click on the Azure Cost management . Click on Go to Cost Management. Offer ID can selected from Drop Down Menu. Start Configuration the Cost Management. It will take 30-40 Mints to Collect the Data. It may take more time to configure and it depends on the azure subscription Data and Resource of Azure Subscription. Once the Cloudyn will done with Data collection. You will have to accept the term and Condition. Please click on the Go Cloudyn to go to Cloudyn Portal. Cost over time : We can view our actual cost over time.